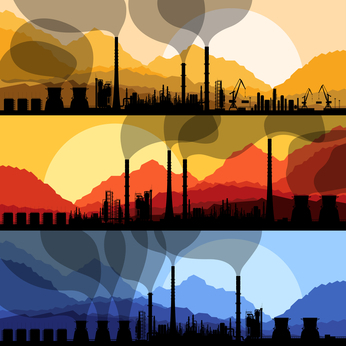 There’s no doubt that greenhouse gas (GHG) emissions are a global challenge. It’s estimated that natural gas flares emit as much carbon dioxide as a million cars a year. According to a publication released by Statistics Canada in 2008, even though Canada is only 0.5 percent of the world’s population, we are the highest per capital emitters by contributing about 2 percent of the total global GHG. This is largely due to the size of our country, our low population density and our climate, which generates high demands of energy. Furthermore, natural gas flaring causes approximately 0.5 percent of all CO2 fossil fuel emissions in Canada. To find viable solutions to the GHG emissions, initiatives are being spearheaded from around the world to encourage leaders in the oil and gas industry to think outside the box. For example, Alberta’s Climate Change and Emissions Management Corporation (CCEMC) has turned to science. CCEMC is using part of the per-tonne charge imposed on large CO2 emitters to fund a global competition to find new ways to turn wasteful carbon emissions into valuable resources. So far, the $230 million dollars invested seems to be money well spent. Last year, the CCEMC received 344 submissions from 37 countries using a variety of technologies and winning entries that received $500,000 have the means to further advance their technology. According to the CCEMC, to date, there are 90 projects being adopted that are expected to reduce 20 million tones of CO2 by the 2020. Other initiatives are also underway. In North Dakota, Mark Wald of Blaise Energy (and his team of engineers) has come up with an idea to convert natural gas flares into electricity. With the development of fracking, new wells are popping up in North Dakota at lightning speed. In the last five years, North Dakota has seen a 600 percent rise in oil production, leaving dozens of natural gas flares to light up the skies. Blaise Energy is able to use a mobile generator at each oil well site to capture natural gas, convert it to electricity and sell the electricity back to the power grid. The downside is that most drilling rigs are powered by diesel, and the cost of running the generator is quite expensive. Blaise Energy has also figured out how to pull out the heavier propane and butane from lighter gases. Today, oil companies are able to reduce the size of the flare and are able to sell part of the gas. The next step is to make the entire process more economically feasible. Blaise Energy is using the $375,000 grant received by the North Dakota Industrial Commission to continue its scientific exploration. Compact GTL and Velocys are also among those who are trying to turn natural gas into a synthetic fuel oil. Using catalytic reactions, natural gas is combined with steam to create a waxy synthetic mixture of carbon monoxide and hydrogen. At this point the chemical process created by Compact GTL and Velocys are only available on a large scale. The challenge is to scale down the technology so it can fit on offshore platforms or floating barges. Carbon utilization seems to be an underdeveloped area of science, as many technologies are still in their infant stages. It’s hard to predict how long the natural gas flames with shoot across the sky, but with CCEMC’s initiative and the global community putting their scientific minds together, viable ways to capture and recycle natural gas may be closer than we think.